It's a world-class classroom. And with teaching solutions from Mimio, it really isn't as out of reach as you may think. We are mindful of budgets and your need to leverage the products you already have. 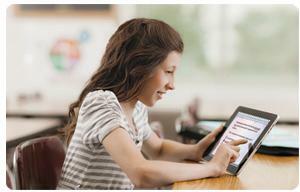 Whatever your classroom's current configuration, Mimio products work with it. Mimio technology lets you purchase only the products you need now and continue using the hardware you currently own. You can expand as your budget allows and your needs grow. All of our products are supported by training that can be customized to fit your needs and budget. And our vibrant online community at mimioconnect.com lets educators discuss ideas and share lessons with their peers. Teacher-Directed Instruction Every Mimio product is designed to put students at the center of the educational environment, so they're more engaged, more collaborative, and more motivated. But the teacher still drives the instruction. So we make teaching easier and more rewarding, while making learning more interesting. When technology is at its best, it paves the way, rather than getting in the way. Teachers can do what they do best � simply teach. Real-Time Formative Assessment Differentiating instruction is one of the keys to student achievement. But in order to differentiate, teachers need to assess understanding in real time. With the MimioVote assessment, or even your school's own iPads equipped with the MimioMobile app, teachers can do just that. They can adjust the instruction accordingly, and use the data to direct small-group or individualized learning plans as necessary. Collaborative Learning Mimio tools facilitate student collaboration, which empowers them to work together in developing critical thinking skills and building their knowledge across all curricular areas. These skills are essential for their future success and align to the new U.S. Common Core State Standards. Whether it's two students working together or many more, they help each other learn more effectively through collaboration. 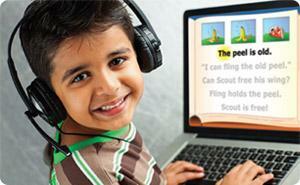 Adaptive Instruction Mimio offers effective reading instruction for Pre-K through 8th grade. 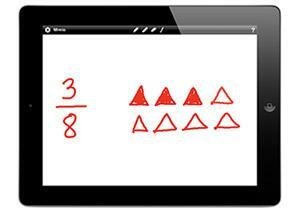 Mimio reading programs are CCSS-correlated and aligned to primary basal reading programs. They've also been tested in real classrooms before release, and they have been proven to be effective. These are researched-based, adaptive programs that make learning fun. They can also be used in blended learning settings.